Welcome to your new ITB home! Spacious layout w/comfortable, well proportioned rooms. Plenty of light throughout. 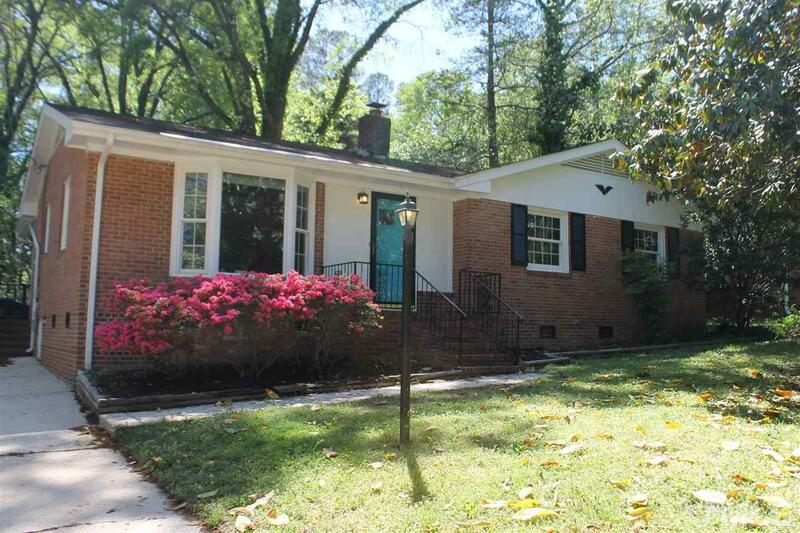 House boasts large living room addition w/ high vaulted ceilings + fireplace. Updades include new kitchen flooring and granite counters. Flawless hardwood floors throughout original home. Deck overlooks large fenced in yard w/ mature hardwoods. Conveniently located to everything fun: Greenway trails, Alamo Draft House + Downtown. City of Raleigh Traffic Calming Project currently underway.